Mandatory recycling has come to Johannesburg and households are said to be showing a “keen interest”. Albi Modise, spokesperson for the Department of Environmental Affairs, said that landfill sites are quickly filling up. Gauteng, the smallest and most populated province has only 13% of its urban households sort their waste for recycling. Recycling rates are dismal everywhere. : 1% in Limpopo, 6% in Kwazulu Natal and 20% in the Western Cape. Since mandatory at-source sorting of recyclable items was introduced in the greater Johannesburg area on July 1, the process has been outsourced to private companies. 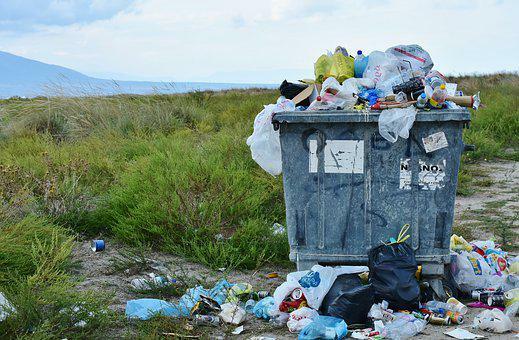 Johannesburg councillor, Nico de Jager, who announced the initiative on World Environment Day, said residents would not be initially penalised for failing to sot their recyclable rubbish, but it may cost those who don’t separate waste in the future. There has been debate about the actual environmental benefit of recycling, the high cost of the new venture, and that it takes a bit of work, but according to Jaco Botha, operations manager for Phambili Waste Management Services, the costs are recoverable via sale of the material for recycling and the truth is, there aren’t many options left in a growing metropolis. In the Midrand, after a door-to-door education and awareness campaign during a testing phase last year, there are now 48 764 households in the area receiving bags and in July of 2018, 257 tonnes of sorted, recyclable waste was collected with 80% of that material successfully recycled. There has been controversy around waste-pickers livelihoods been threatened by the recycling project. But Phambili logistics manager, Mpho Boshomane says they service areas which the project has not reached. Cans fetch the highest price at resale – about R 11/kg after being processed into cubes. Plastic goes for about R 4/kg depending on the density.